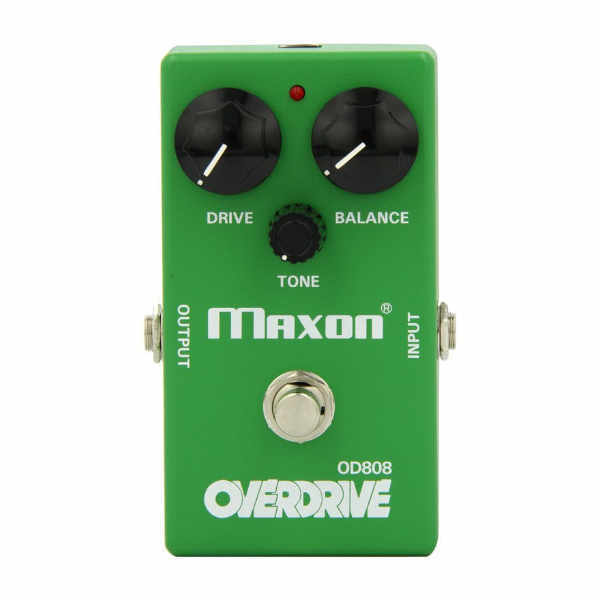 Maxon developed the OD808 circuit more than 30 years ago, and since then it’s become the most used, most imitated and most lauded overdrive circuit of all time. 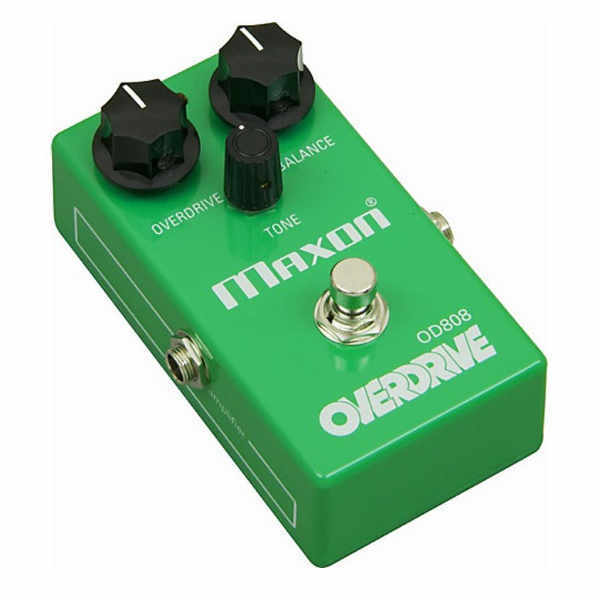 While the 808-style overdrive circuit is commonplace nowadays, in 1979 it was a unique design and an industry first. The secret behind the legendary “808 tone” lies in the amplifier section of the circuit. Rather than having separate amplifier and clipping stages, the OD808 features a signal-distorting diode (Panasonic #MA150) located in the negative feedback loop of the amplifier stage. The OD808 distorts signal in the amplifier circuit itself which yields a smoother, milder, more natural sounding distortion than a separate clipping stage. This is also the reason that the IC type used in the circuit has such a large impact on the unit’s tone. The Reissue uses the correct JRC4558 Op Amp that made the 808 the tone of legend. It should be noted that the Reissue Series OD808 uses different output resistors than the original version. Vintage TS808’s are susceptible to microphonic noise due to static electricity buildup on the chassis. To improve performance, the positions of the output resistors on the reissue OD808 were reversed and their values increased in order to reduce noise levels. This circuit change has no audible affect on the sound of the unit, save for reducing the noise levels.